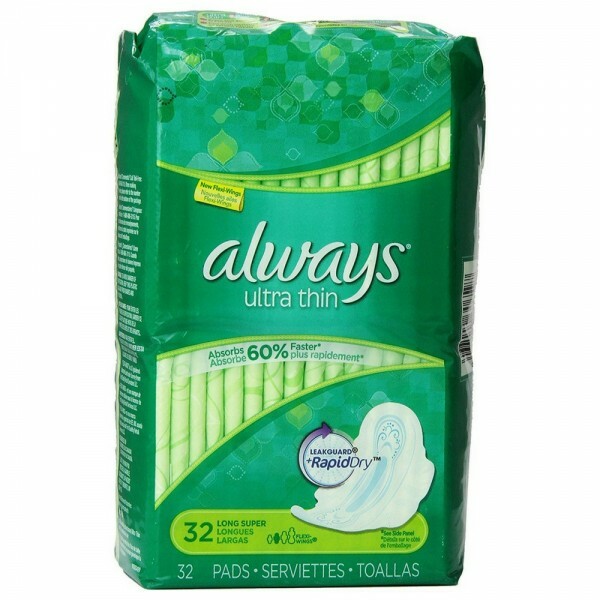 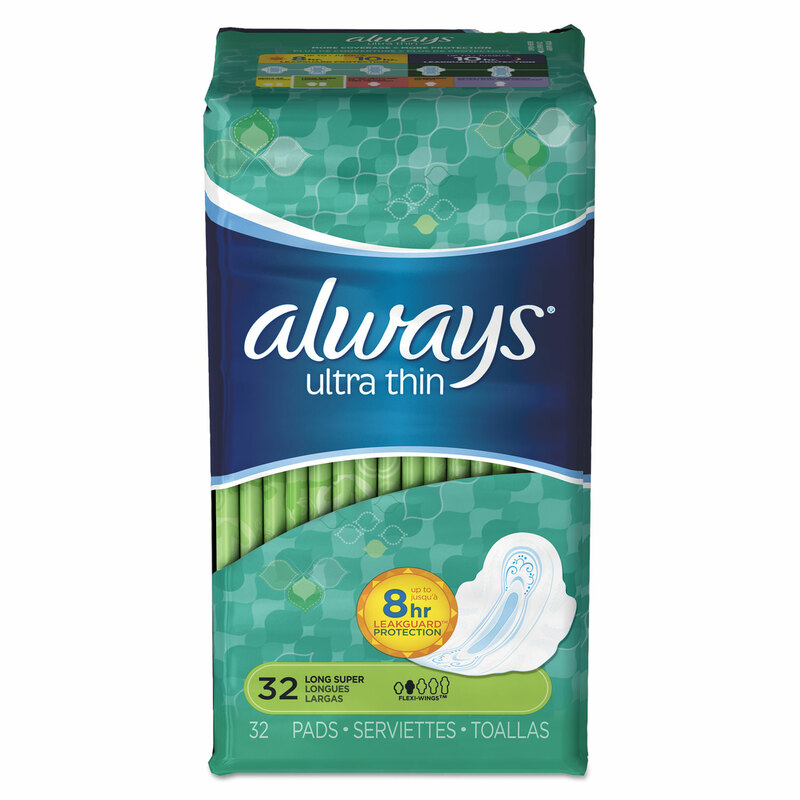 Always Always Ultra Long With Wings 16 count are super comfortable, their non-bulky design cradles your body while offering absolutely no show through. 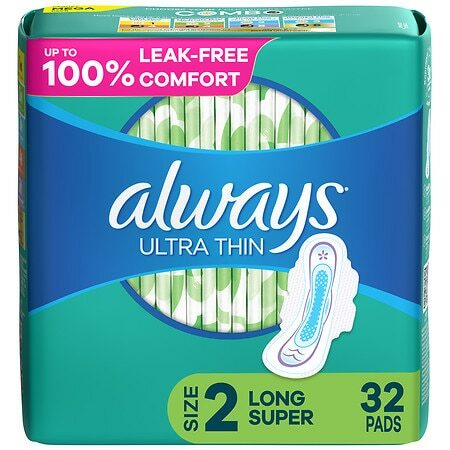 The sanitary pad's wing feature adds protection from leaks to the sides in the center where most women need it most while an extra layer of fluid absorbing material is centered between these wings. 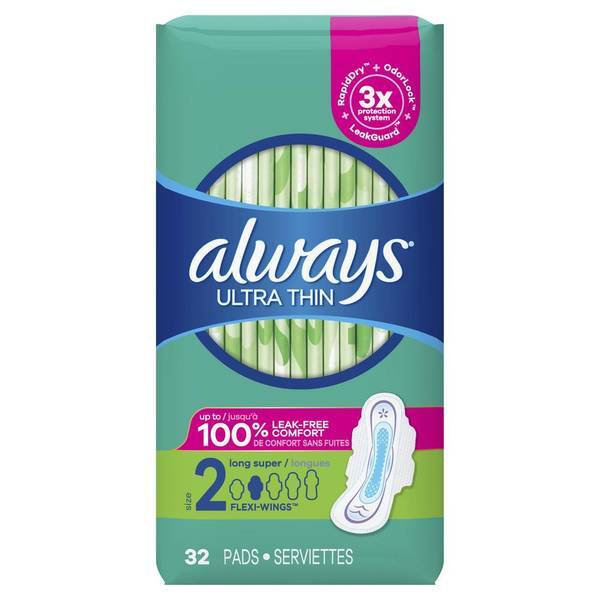 This box of pads contains 16 individual pads that are wrapped for women who are on the go, plus the pads are longer for even more security.